Stop the risk of theft, intrusion and unsecured visits from strangers or wildlife with an electric fence for your business. At America Fence we come prepared to offer a great solution for all your security needs. Electric fences protect your Business and without a fence, your business runs the risk of being open to the public for them to do as they please. We believe every business needs a border to distinguish their line of work, and the best way to do that is by building an electric fence for your business. 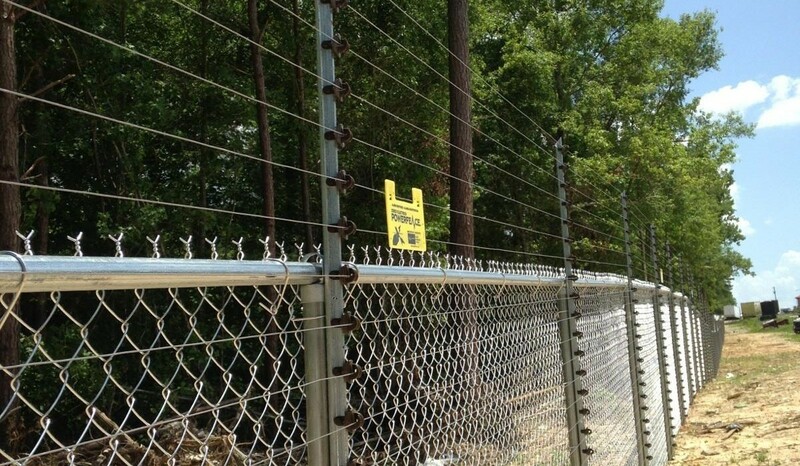 America Electric Fence provides security solutions for all levels of security for your property and perimeter. There are a number of advantages to using an electric fence around your property. We provide a network perimeter system that allows you to configure a fence for your specific needs. We use the most advanced systems in technology by partnering with Gallagher Security Systems. America Fence offers various high-level security options with an electric fence for your business. Since 1968, we have been working with businesses all around Georgia to protect their property. We have satisfied customers throughout Atlanta and North Georgia. When it comes to commercial fencing, we’re the fence company that businesses turn to because of our longstanding experience and excellent reputation. All of our electric fences come with control and monitoring for complete functionality through Command Centre software, which is the best in the industry. If you want to keep your business securely enclosed while preserving the appealing aspect of your property. A Commercial standard fence can help meet that goal. We can help you decide the level of visibility you want for your business. America Fence maintains the standard for the fencing industry. We come prepared to source and establish any type of fence including an electric fence to protect your business.